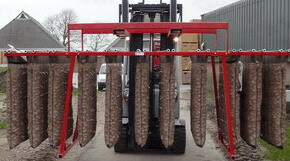 Joppe Pre-sprouting (chitting) system allows you to pre-sprout potatoes on a large scale, using a mechanical process. 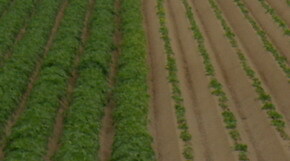 The bags are filled using a conveyer belt, or a Big Bag, and can be transported with a fork-lift truck or telehandler. Pre-sprouting bags are easily unloaded by undoing the Velcro fastenings.